Pool view was great. Kitchenware was good. Big safe in the room. Sofa-bed becomes a big bed. Balcony/Terrace with tables and sun bath chairs. Location. Views. Pool. Nearby restaurants and supermarkets. It was close to the beach and the Cita centre just around the corner for shopping. It was in a kind of cul-de-sac so there was no road traffic noise. Very good quiet location. Partial sea-view. Close to Cita shopping center, but not too close :) Friendly staff, perfect cleaning. Very friendly staff and tidy !This is a great location to the beach and Cita shopping centre!! I thought that the fresh bread rolls left hanging on the door every day was a great touch. The apartment was kept very clean and there was a small selection of soft drinks beer wine and water available inside at not much more than they would cost in the super market. Onsite Jacuzzi and pool were useful if you didn't want to go to the beach. 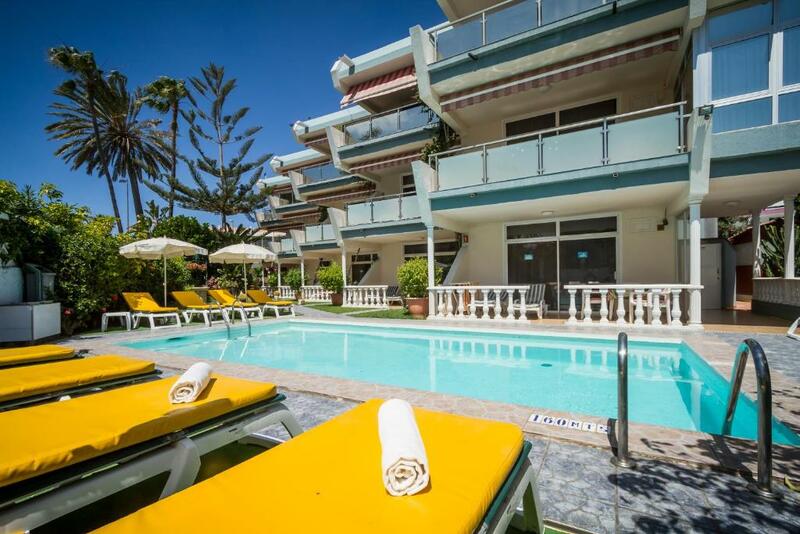 Location is perfect, near the beach and shopping center Cita. Nevertheless very quiet. Every morning fresh bread at the door. Lock in a great price for Apartamentos Patricio – rated 8.7 by recent guests! Apartamentos Patricio This rating is a reflection of how the property compares to the industry standard when it comes to price, facilities and services available. It's based on a self-evaluation by the property. Use this rating to help choose your stay! One of our best sellers in Playa del Ingles! 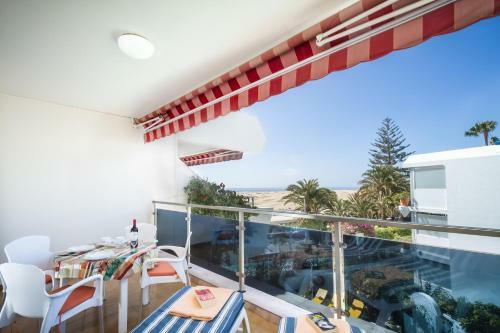 Apartamentos Patricio has a beachfront setting in Gran Canaria, with views over the Maspalomas Sand Dunes and Playa del Inglés. The apartments all include free Wi-Fi and a balcony. The Patricio is a small apartment complex with a lovely swimming pool, hot tub and sun terrace. Apartments all come with a satellite TV, a DVD player and a kettle. There is a spacious kitchen area and an private bathroom. 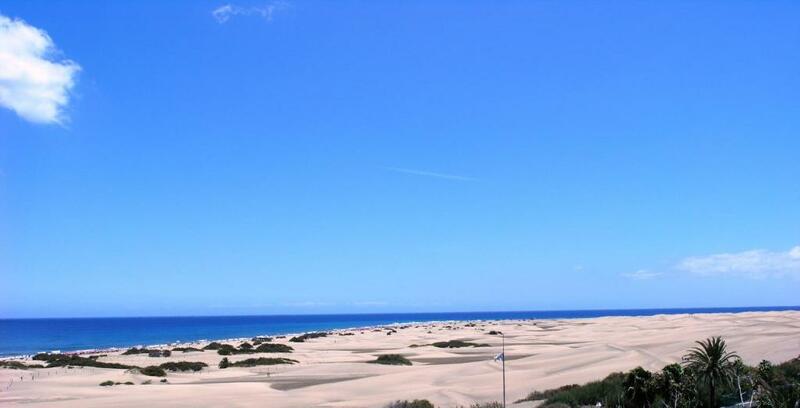 The Maspalomas Golf Course is within walking distance of the Patricio. Free public parking is possible nearby. When would you like to stay at Apartamentos Patricio? Offers balcony overlooking the sea. Ground floor apartment featuring terrace. House Rules Apartamentos Patricio takes special requests – add in the next step! Apartamentos Patricio accepts these cards and reserves the right to temporarily hold an amount prior to arrival. Please inform Apartamentos Patricio of your expected arrival time in advance. You can use the Special Requests box when booking, or contact the property directly using the contact details in your confirmation. Shower area should have curtain or glass door to completely block water from entering the washbasin area. WiFi stopped working before checkout time. You can hear some noise (depending on neighbours :) from other rooms. Typical in this kind of bildings in Cran Canaria. In overall that is not a problem :) Small water pressure in shower, also typical in Canaria. Very old beds and it needed a refurbishment! The bathroom was in bitter need of TLC ! Very much set up for German and Spanish.Dozens of tv channels but not one English one.No fan in room even though listed. Jacuzzi not working for whole two weeks. Very clean rooms, nice pool and gardens. Fresh rolls a nice touch.Suberb location. The apartment though clean was looking a bit tired and could do with a freshen up. Laminate on the kitchen shelves was coming off, Cupboard doors need aligning. Some silicon sealer in the bathroom around the shower needs replacing. Marks on the walls in the bedroom need removing. The awning on the terrace. Relaxing on the sunbeds with the awning down(already sunburnt) at about 6.30 ish when suddenly the awning starts to retract. This is done by staff in case of high winds, Only thing is there was no wind so that was the end of my relaxing on the terrace. Next day when it was windy the awnings were ok to use. Beware of getting out of the swimming pool, there is astro turf around it but if you walk on the tiles with wet feet they are Very slippery and you will end up on your arse(like me). Saying all this to be fair, If I come back to the Canaries, I would still be happy to stay at Apartment Patricio.